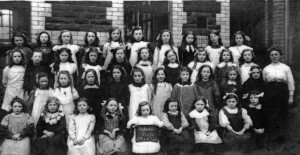 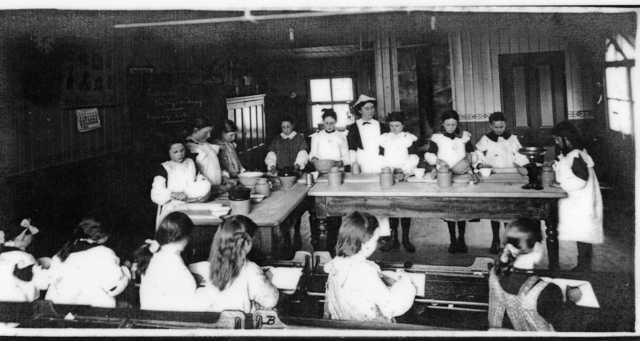 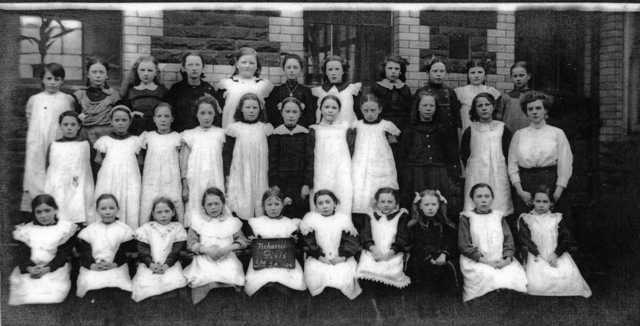 I was fortunate enough to acquire the following photographs of the Treharris Girls School in Perrott Street…they are taken during 1914. 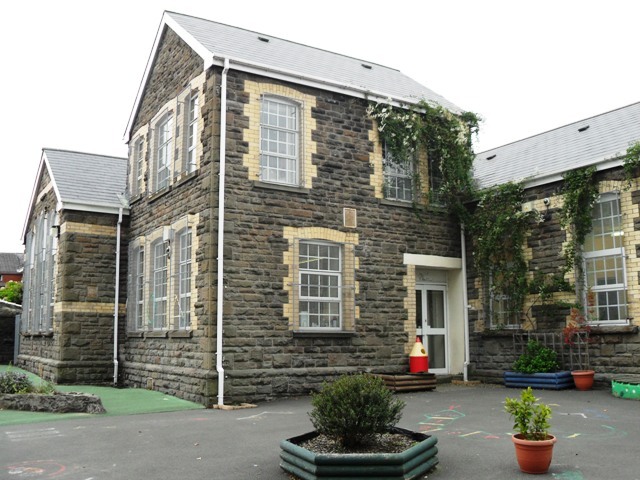 I have added two photographs from 2009 to show how the building looks Today. 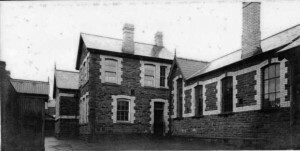 There is a nursery school there now for the very young children of the Town and part of the school buildings have been converted to a Community centre. 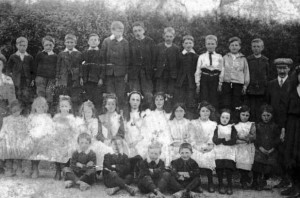 I am not sure who had these original photographs but I am grateful to my great uncle Jack Corkrey, now aged 88, for these copies. 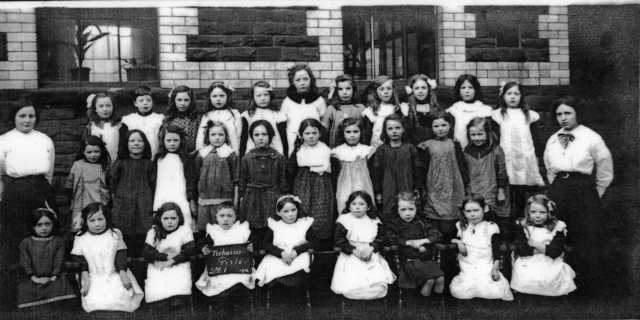 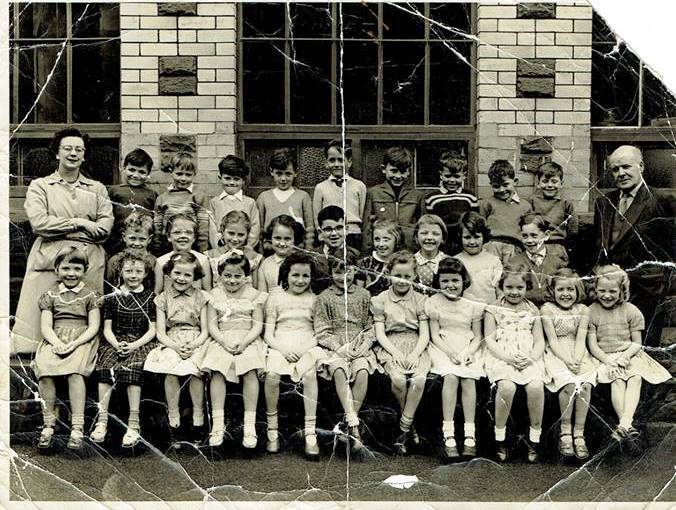 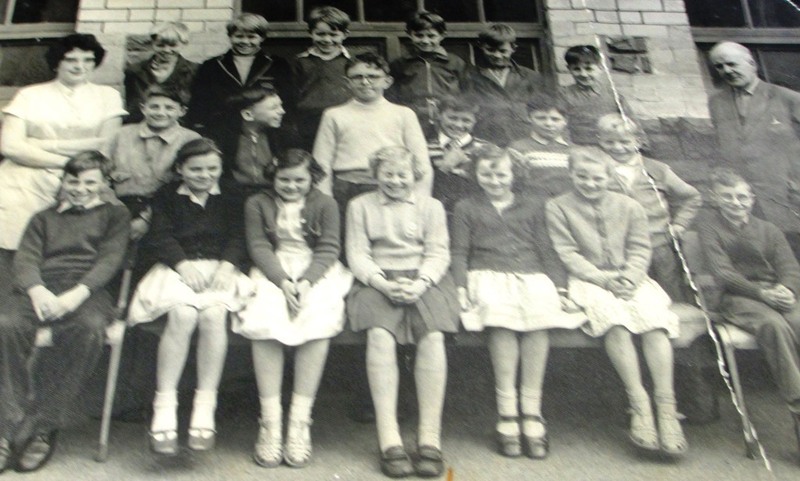 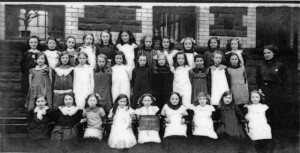 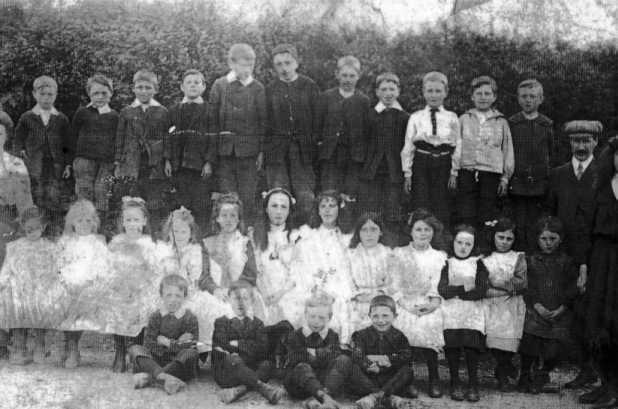 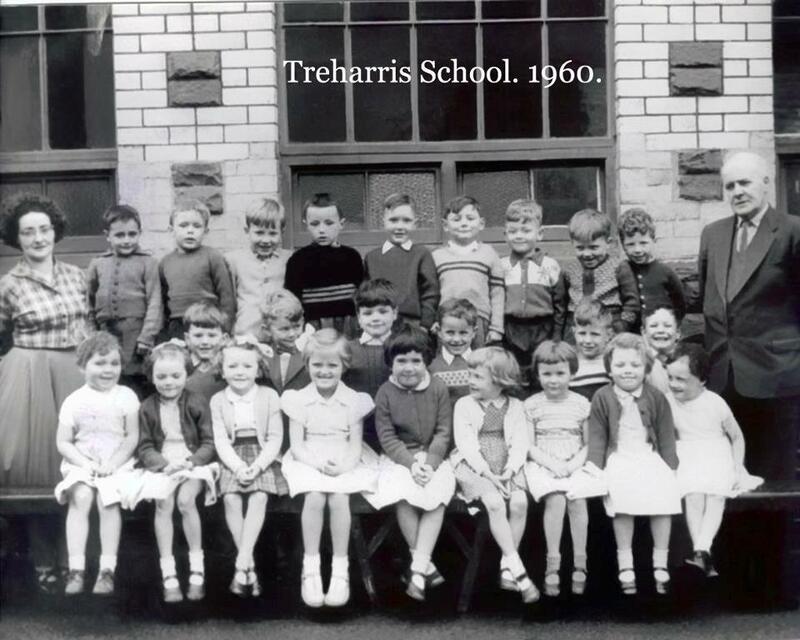 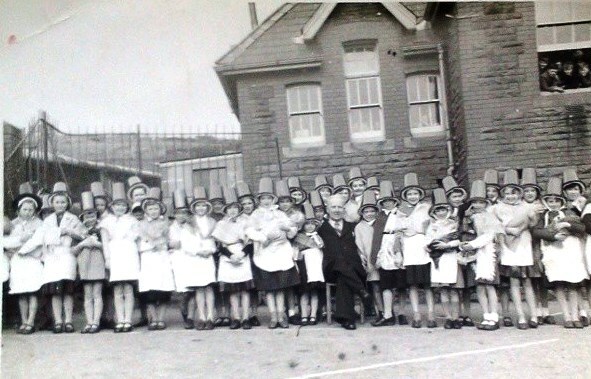 I have no idea who the children are or any of their names but no doubt someone will have had family, great grand parents or grandparents who attended the school. 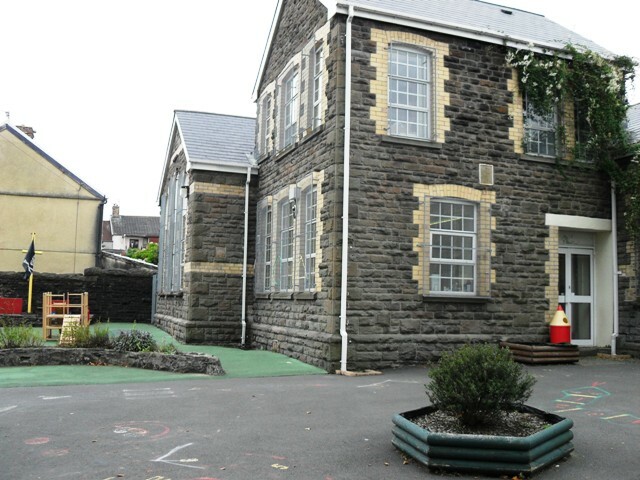 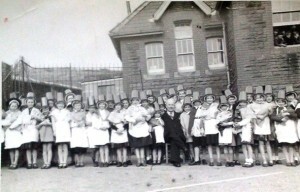 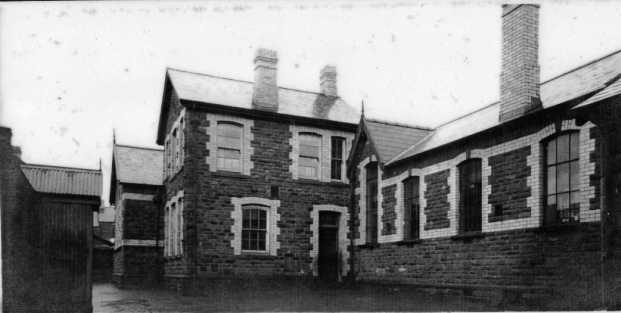 The two pictures above are of the Treharris girls School buliding 2009…now a nursery and Community centre. 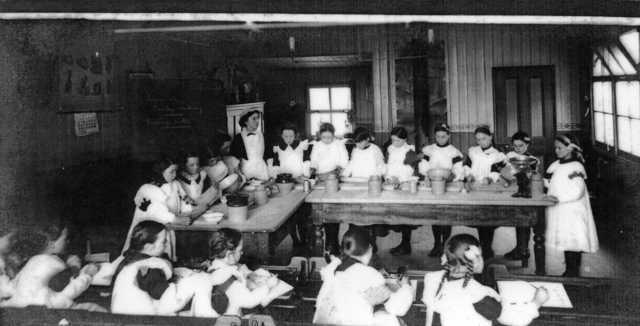 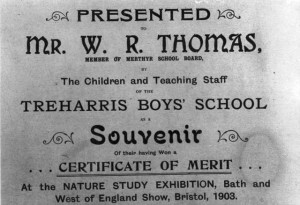 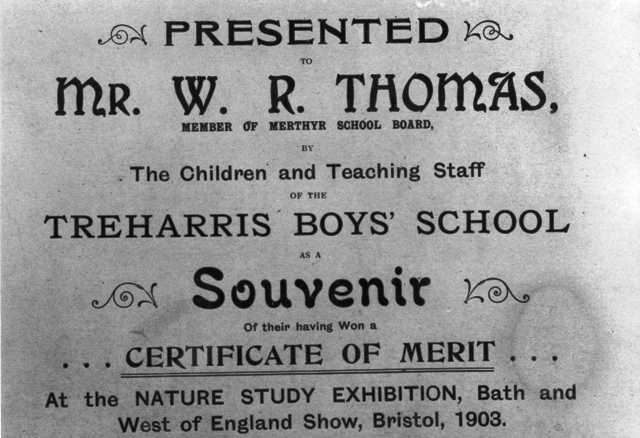 The young boys were also well looked after at the school and in 1903 they won a Certificate of merit. Below we can see pictures of the boys from 1903, doing various activities to do with nature. 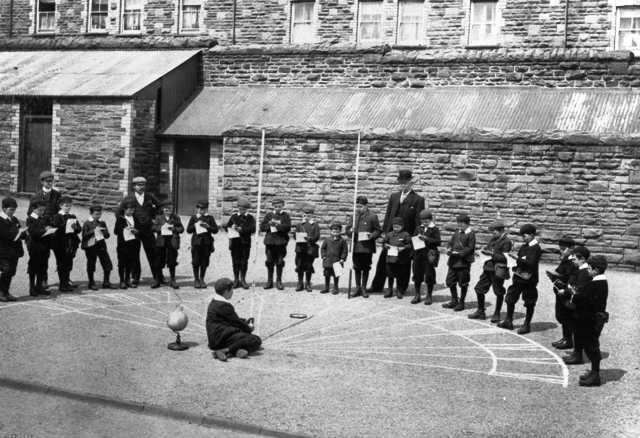 The first picture is taken at the School with the boys creating a sun dial…The picture sees Edwards Street in the Background. 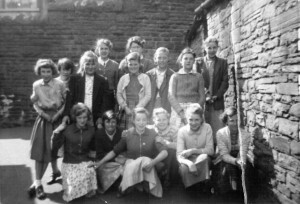 The pictures that follow are mainly taken at Quakers Yard. 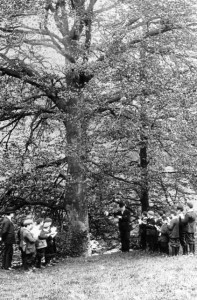 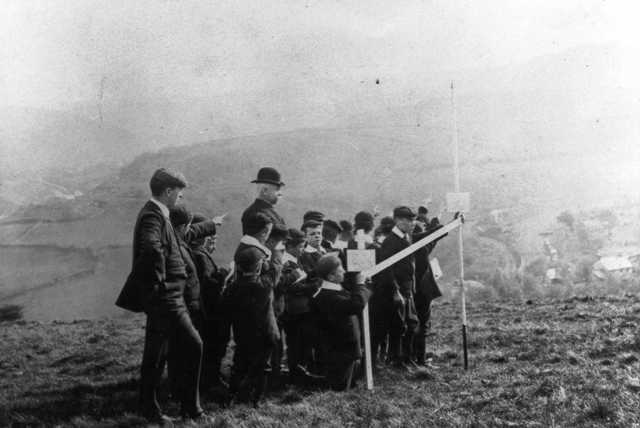 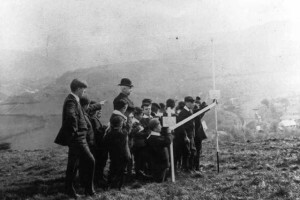 The next three pictures show the lads on the local hill sides learning about nature with their teachers 1903. 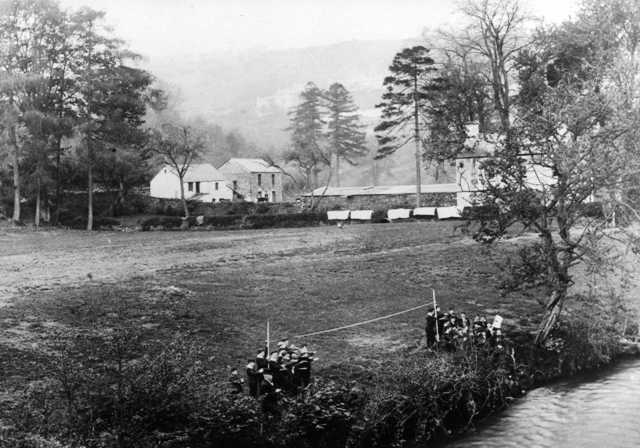 The final pictures show the class down on the river Taff in Quakers Yard.In the Background is Woodland cottage on Rodericks farm. 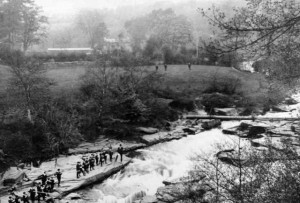 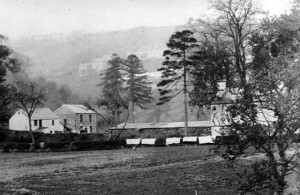 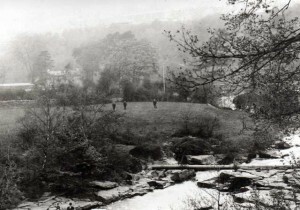 To the right is the Quakers Yard Taff Bridge (1891) On some of the pictures you will see three men in a field that is now the site of the Woodlands School which was later opened in 1905. 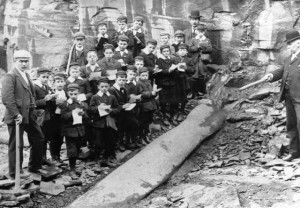 The staff and pupils were observing the whirlpools at Quakers Yard. 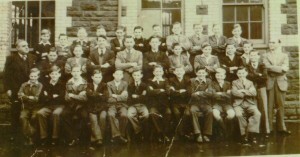 Norman Williams. 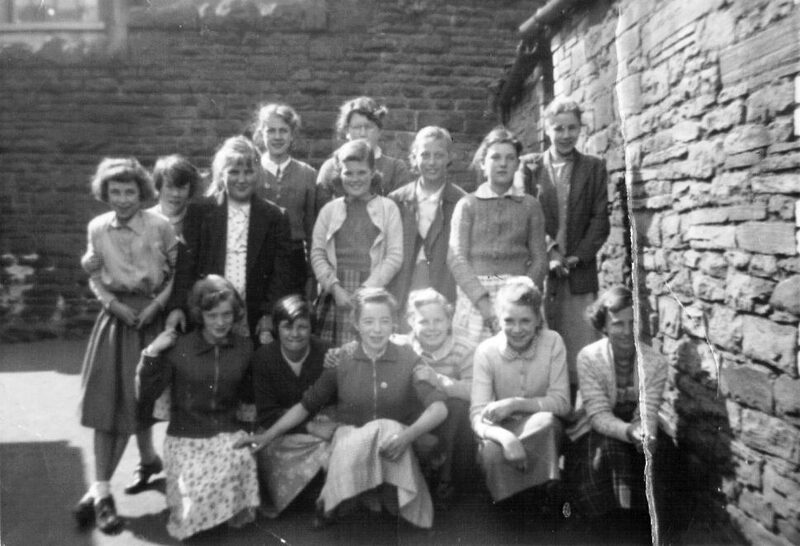 Born 1936 and lived in 25 Penn Street, Mother Maggie Williams nee Lloyd. 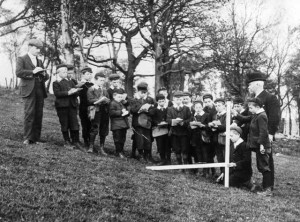 Father Griff Williams both worked in Deep Nav. 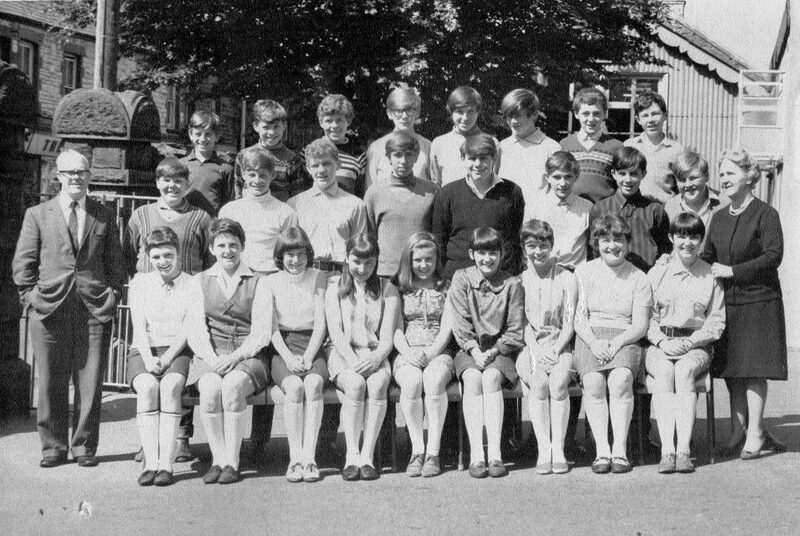 until Norman became a £10 Pom in 1970, he now lives in Australia. 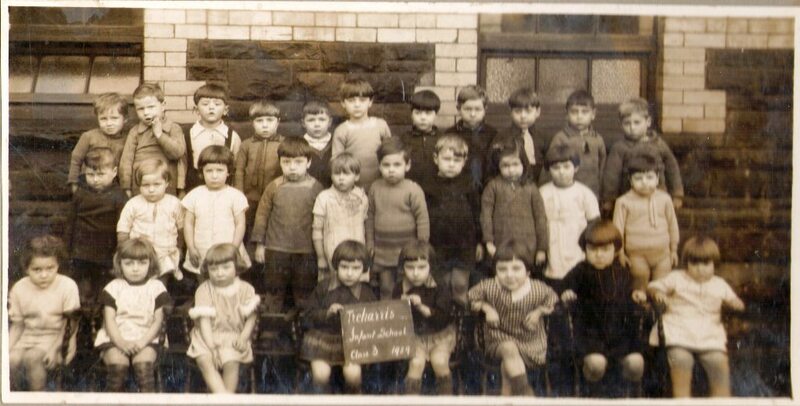 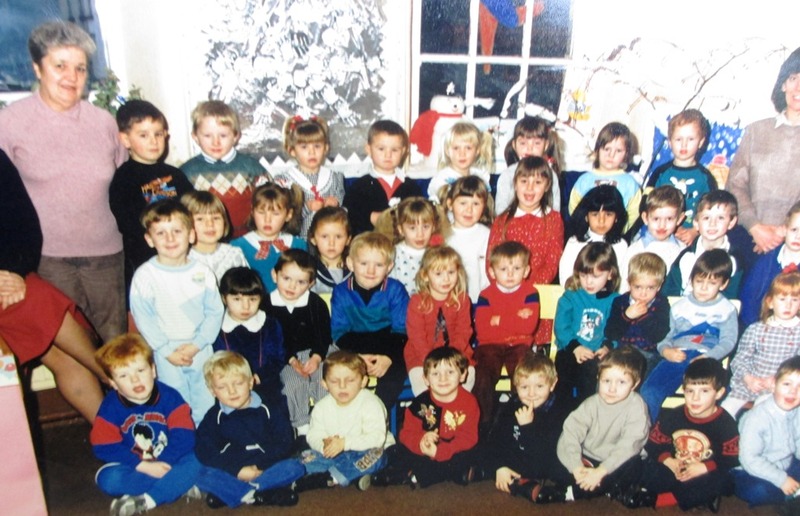 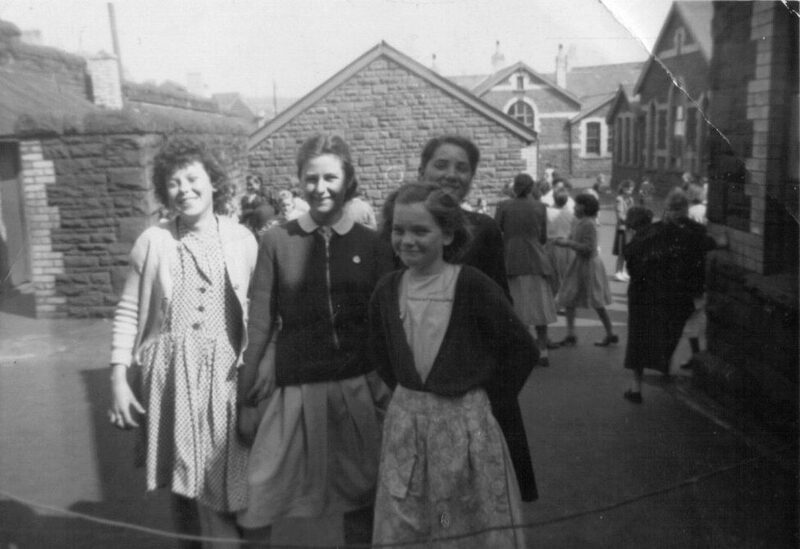 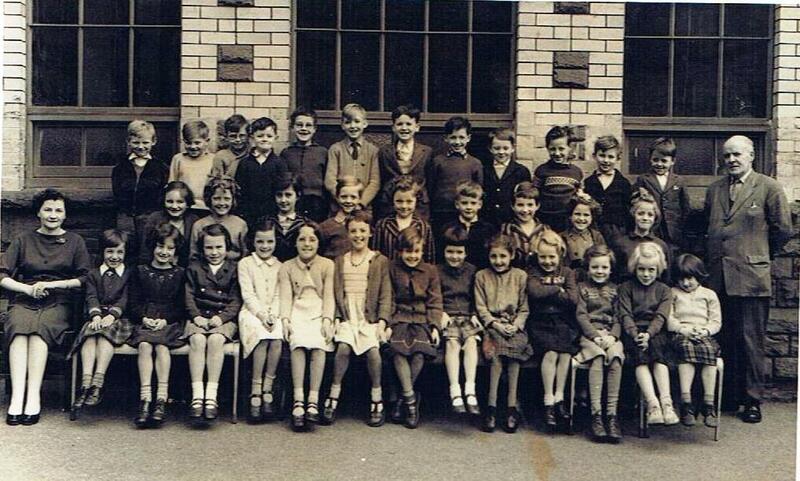 He sent me an old school photograph of his last year in Treharris school. Norman is in the middle row 5 from the left. 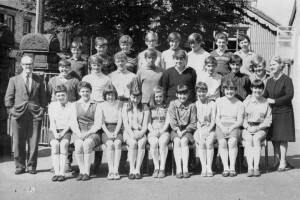 Kathy Griffin, Janet Hunt, Sheila Evans?, Christine herbert, Myrtle Ryland, Margaret King, Heddina Jones,Beth Penry, Eirwen Bounds, Pearl Cox, Annette Harries, Verna ? 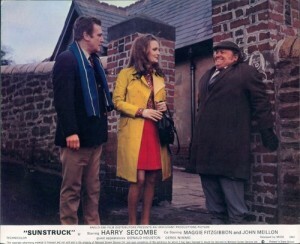 , Shirley ? 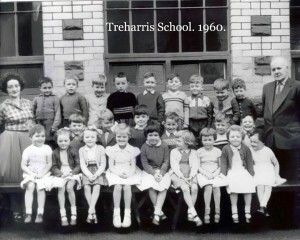 Mrs Brenda Jones class teacher. 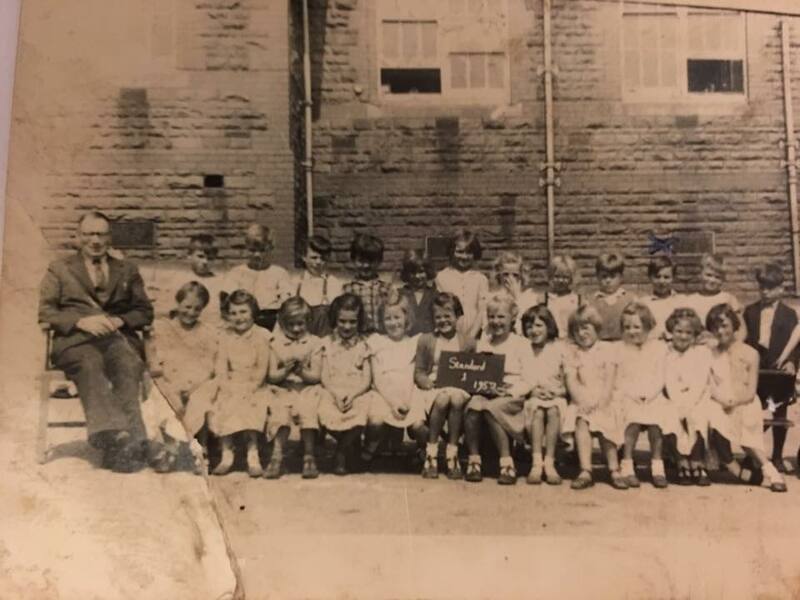 Mr Evans, Headmaster Sandra Jones, Linda Wallace, Anne Beynon, Roderick Richards, Sharon Luckwell, Richard Morgan, Ruth Howells, Susan Whatmore, Rosanna ? 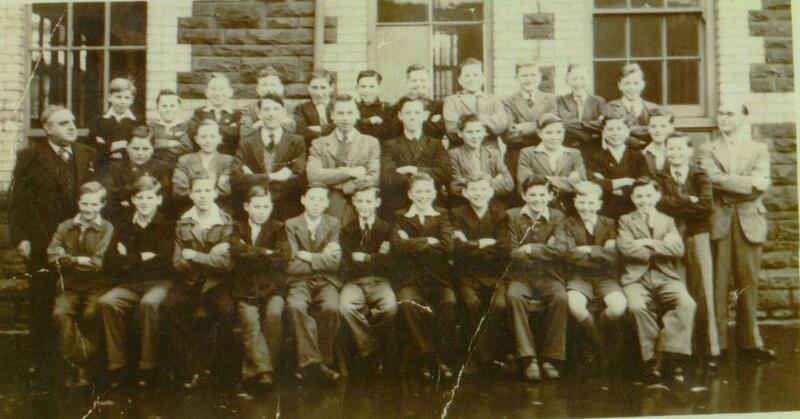 Alan Rees, Andrew Lipian, Nigel Neville, Clive Morris, Adrian Jones, Lyndon Davies, Paul Wilkins, Peter Beasley, ? ?, Steven Morgan, ?? , Robert Williams.